How to Support Issues, Etc. Here is some sample copy for churches outside of St. Louis for the week of March 21. 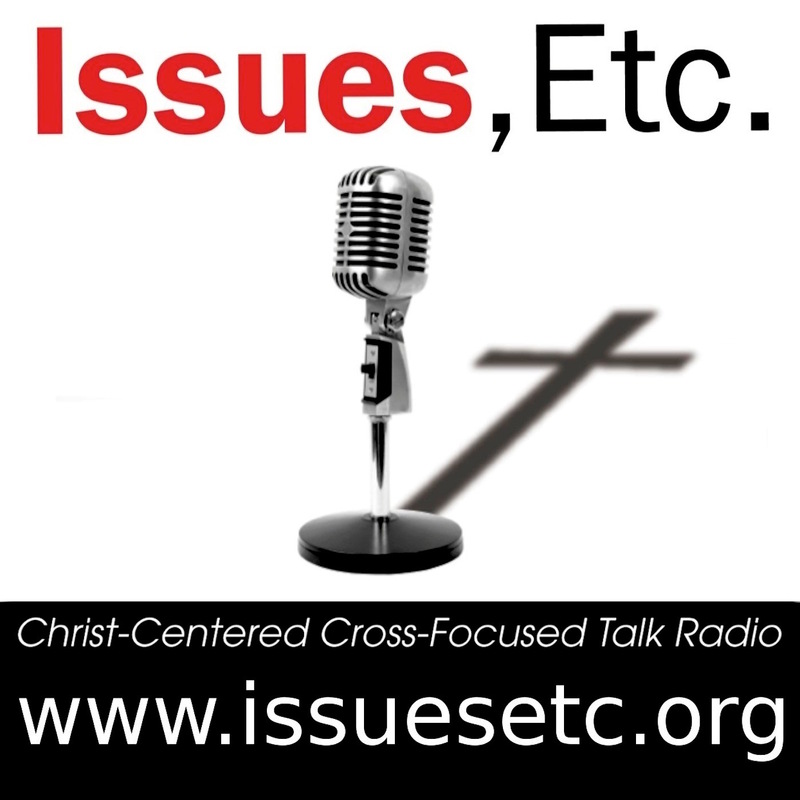 TALK RADIO FOR THE EASTER SEASON…Issues, Etc. is a radio talk show and podcast produced by Lutheran Public Radio in Collinsville, IL and hosted by LCMS Pastor Todd Wilken. This week’s teachings include: The Easter Hymn “I Know That My Redeemer Lives,” The Resurrection in Handel’s “Messiah,” Christ’s Resurrection in John’s Gospel, Evidence for the Resurrection, The Easter Hymn “He’s Risen, He’s Risen” and more. You can listen live or at your convenience at www.issuesetc.org and on the LPR mobile app. Here is some sample copy for churches in greater St. Louis for the week of March 21. TALK RADIO FOR HOLY WEEK…Issues, Etc. is a radio talk show and podcast produced by Lutheran Public Radio in Collinsville, IL and hosted by LCMS Pastor Todd Wilken. This week’s teachings include: The Easter Hymn “I Know That My Redeemer Lives,” The Resurrection in Handel’s “Messiah,” Christ’s Resurrection in John’s Gospel, Evidence for the Resurrection, The Easter Hymn “He’s Risen, He’s Risen” and more. You can tune in live weekdays from 3-5 p.m. on KFUO, 850 AM in St. Louis. You can also listen at your convenience www.issuesetc.org and on the LPR mobile app. You Can’t Teach Laypeople Theology? You can get the Issues, Etc. widget below. Once the widget is on your blog, send us a link to your entry at talkback@issuesetc.org or use this form. Right-click on the image above and save it to your computer. If you want a larger version of it, you can right-click here and save the image. Upload the image to your blog or website. Place the image where you like using your blog software. More detailed instructions for WordPress are below. From the “Available Widgets”, choose image and drag it to your Sidebar on the right. You may have to update your latest blog post before the widget will appear in your blog’s sidebar. If you don’t see the “Image” widget, you may need to install the Jetpack plugin to your WordPress site.